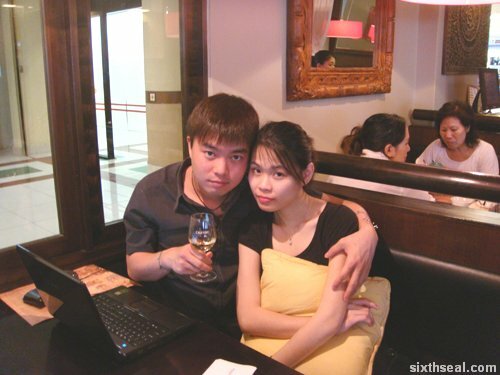 It was a public holiday yesterday so I went out with my better half for dinner. We usually don’t eat outside on weekdays. I remember the banners advertising Sanook in Sunway Pyramid (it’s actually in the hotel beside the mall) and wanted to check it out. 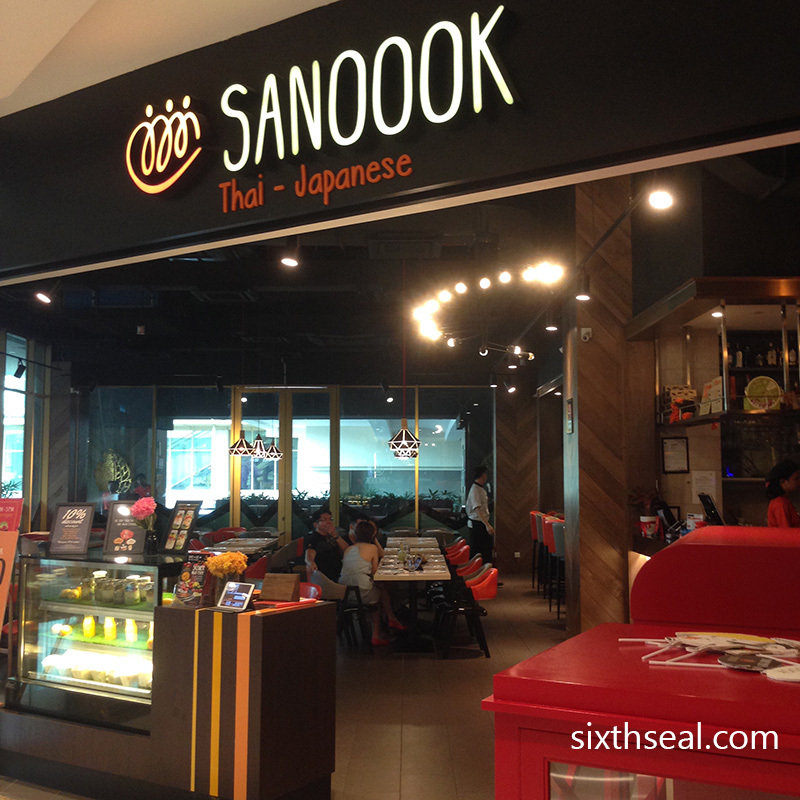 Sanook is billed as Thai-Japanese fusion cuisine and I thought that sounded really interesting. My dear likes to eat Thai food while I’m partial to Japanese so this is the perfect place for dinner. They spent a lot on branding – the entire outlet is colored in their orange trademark hue and the plates and bowls are all heart shaped. Ordering is done via an iPad on your table, which has beautiful photos and descriptions. You can also order something and set it to be delivered later, like for dessert. 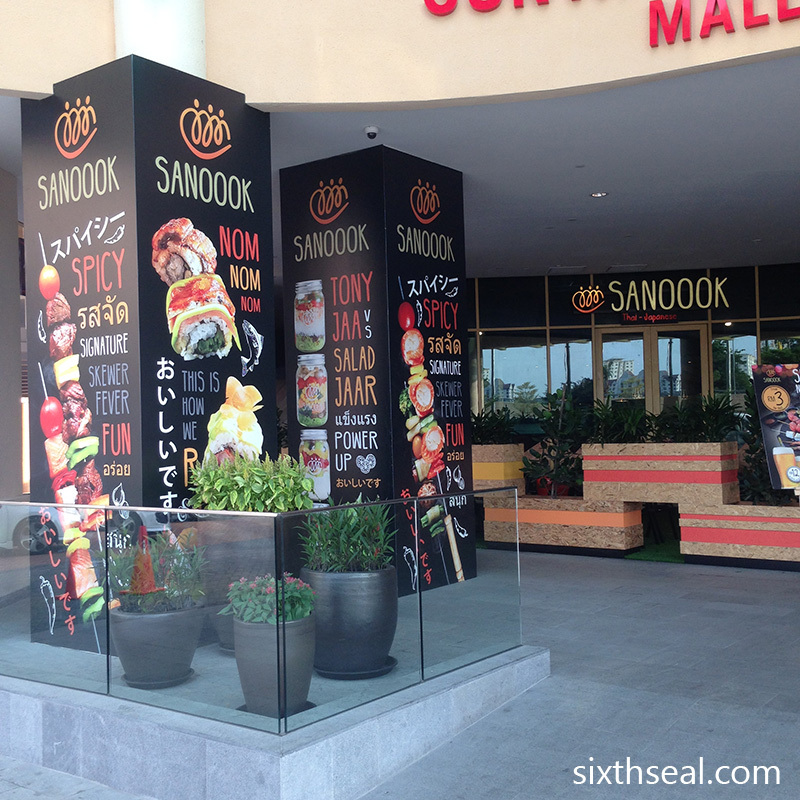 Sanook is well known for their skewers. This one is made with unshelled tiger prawns layered with some kebab-type vegetables. There’s 3 big prawns on 2 skewers for a total of 6. One thing about BBQ skewers is that it’s usually pretty bland and tasteless. Not this one, they have a strong garlic based Sanook sauce which miraculously stayed on the shell and added a lot of flavor to the prawns. Very good starter. This is the main dish that I ordered. It’s unagi (saltwater eel) grilled with teriyaki sauce. 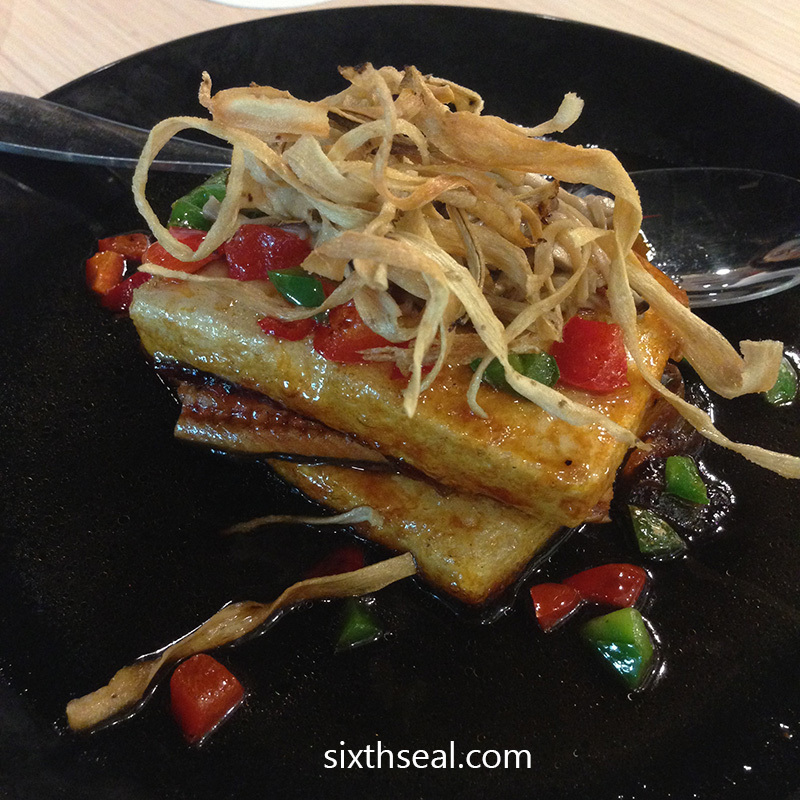 There’s also two large slabs of beancurd which soaked up the sauce really well. I thought it was pretty good and the portion of eel is very generous for the price. I’ve always wanted more eel at Japanese restaurants and tried cooking my own eel once. I love the oily taste of eel. These are our drinks. I like my lemongrass drink coz of the lemon they put on top. It’s super sour and refreshing when squeezed. My better half had the pandan honey. It’s a little too sweet for me but it’s decent too. 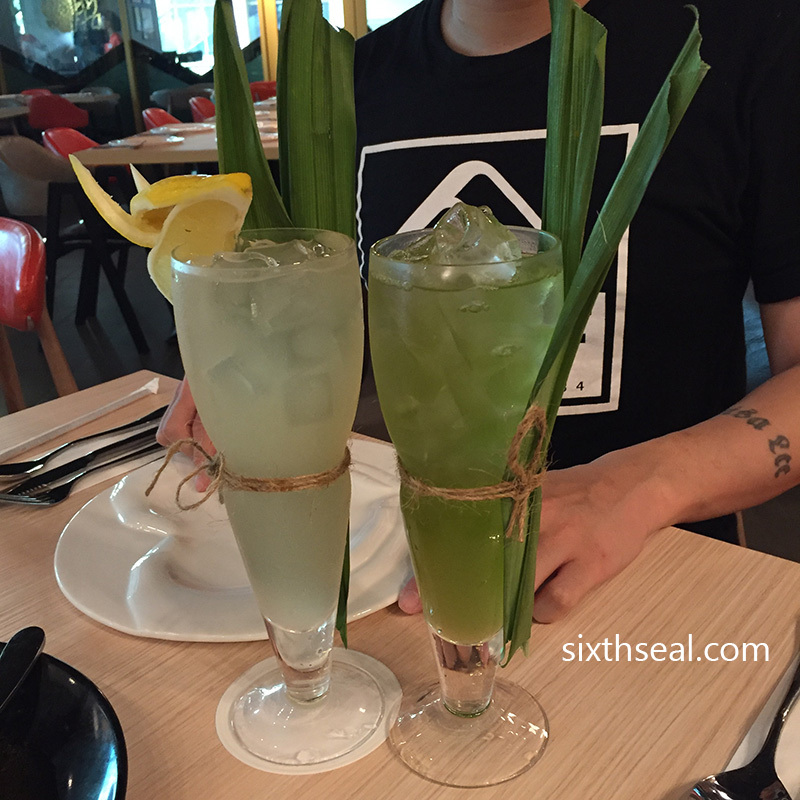 All the drinks are presented with a fresh pandan leaf tied to the side. It’s quite expensive for a normal drink but restaurants usually have a higher mark up. My dear had this coz she wanted a more Thai taste. It’s a whole breast of roasted duck that’s been deboned and put into Thai red curry. The curry is really spicy, but in a good way. There’s a lot of other things in the curry too. I thought the cherry tomatoes were a really good addition since it cuts through the richness of the duck. This is my dessert. I was curious about the “Volcano” and ordered it to try. It turned out to be just Thai milk tea that’s shaved into a bowl. There’s also taro balls and slivers of nuts down there but it’s mostly just frozen milk tea. We like bingsu and I thought it’ll be something like that and while the concept is similar the execution is rather boring. We couldn’t finish it. This is my dear’s dessert. 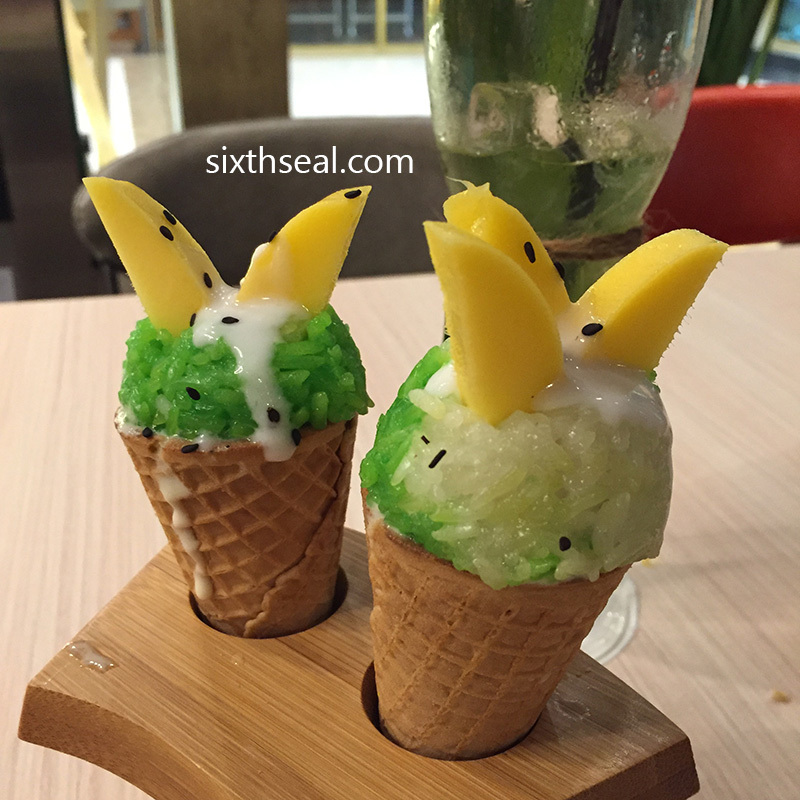 It’s ice cream topped with glutinous rice and fresh mango slices inside a cone. I thought it was clever and she loved it too! It’s a well thought out dessert, a lot better than the Thai Volcano I ordered. The presentation was great, and it comes in two cones so we could each have one. Lovely stuff. I had seen the posters for Sanook last time I was in Sunway Pyramid. We were actually thinking about a Hokkaido ramen shop and a Korean celebrity chef restaurant (both beside it) before we settled here. 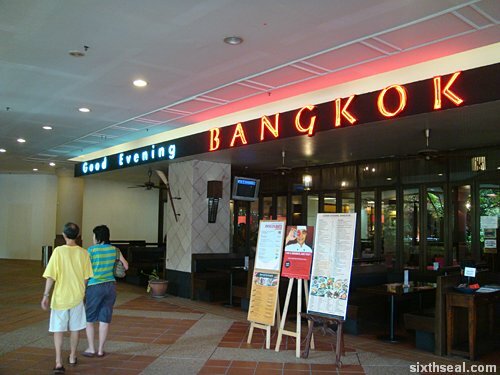 The 3 F&B places are located side by side so we browsed the menus before coming to Sanook. It turned out to be a wonderful dinner during Merdeka. 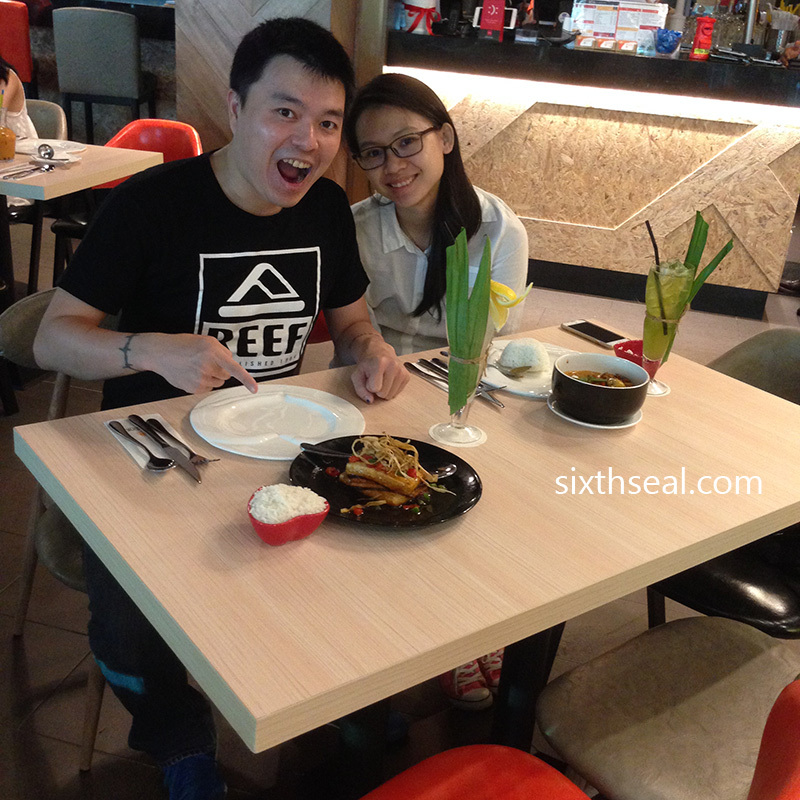 The bill came up to RM 168.65 for the both of us but it’s mostly coz of drinks and dessert. It’s good value for money though, we’ll be back again! Good Evening Bangkok has a nice ambiance with Siamese artifacts adorning the entire interior. The seating arrangements are covered with an unfortunate shade of pink chair liners, but other than that, the lighting and fixtures were all very warm and inviting. We weren’t really hungry so we just shared a starter, a main dish and dessert. 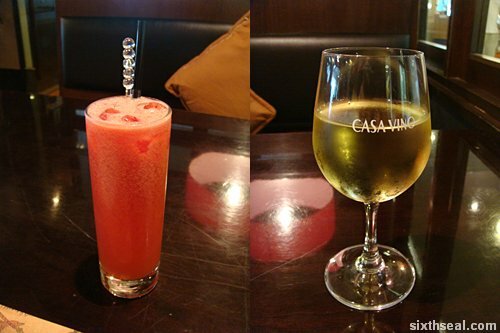 Doris had the fresh watermelon juice (RM 7.50) while I went for the Evan & Tate Salisbury Chardonnay (RM 16). My original choice was for the Singha beer (RM 18) for maximum authenticity but unfortunately Good Evening Bangkok ran out of the Thailand brewed beer. 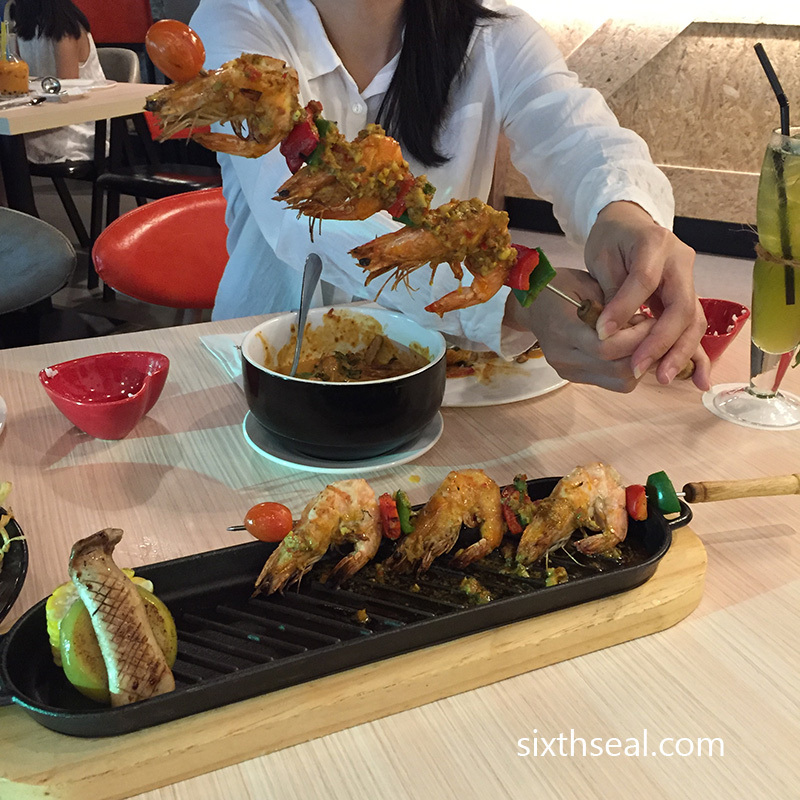 This is their signature appetizer – the Good Evening Combo (RM 16.90), which is a taster dish of sorts. It contains fish cake, money bag, prawn wonton and mango salad. I love the mango salad, it reminded me of the som tam (papaya salad) I had back in Bangkok a couple of years ago. The other dishes didn’t really make an impression on me. Phad Thai Goong Sod (Stir-fried Thai rice noodle with fresh prawn) was recommended by the waitress for the main dish. 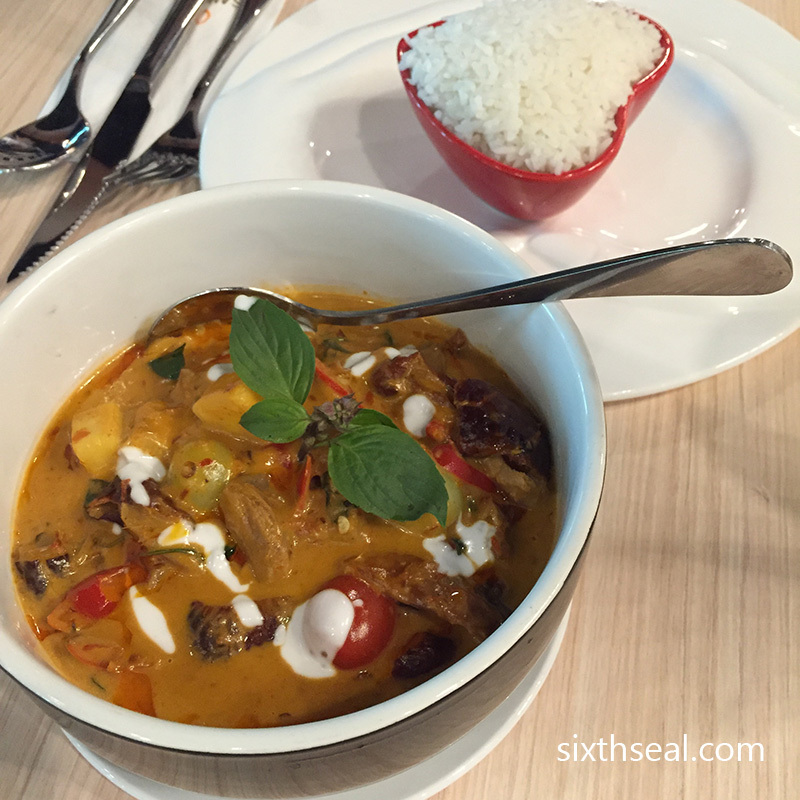 It’s one of their new menu items, priced at RM 14.90. I absolutely love this dish! Notice the dried chili powder and ground peanuts on the side. 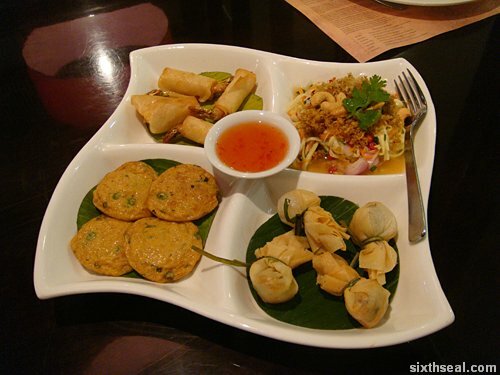 It creates an amazing fusion of flavor and texture when mixed into the rice noodles. It’s very, very spicy too, which always gets bonus points from me. 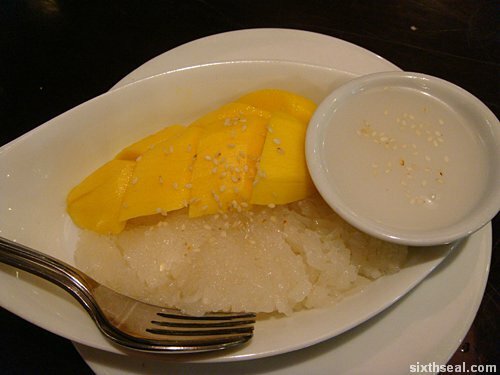 Khow Neow Ma Moung (Mango with sticky rice) is probably one of the most recognizable and popular Thai desserts. 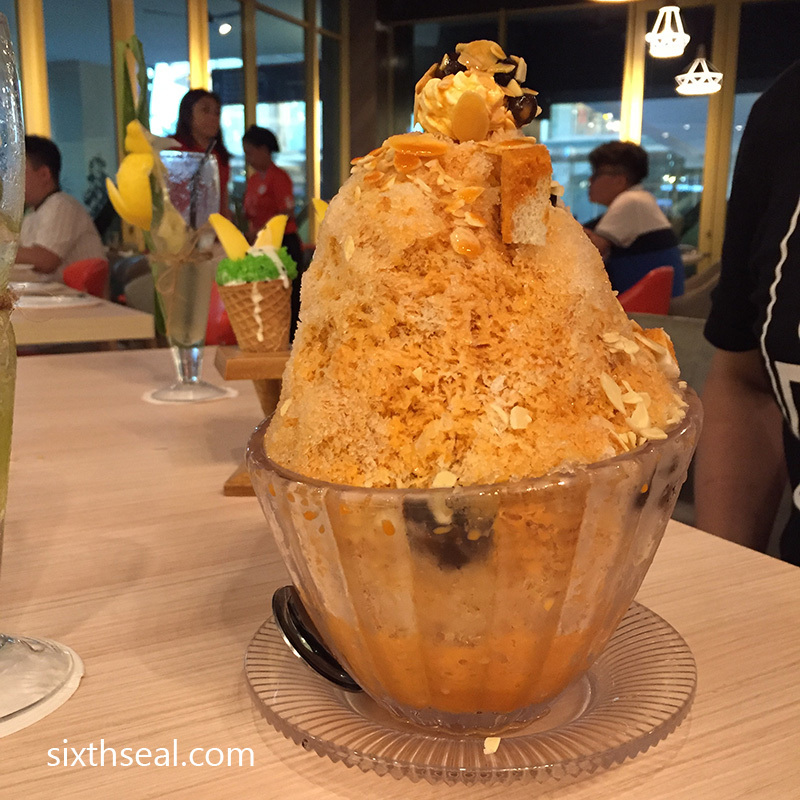 It’s priced at RM 11.90 at Good Evening Bangkok and comes with half a whole mango sliced into nice, easy to handle cubes, sauce on the side and sticky glutinous rice sprinkled with sesame seeds. 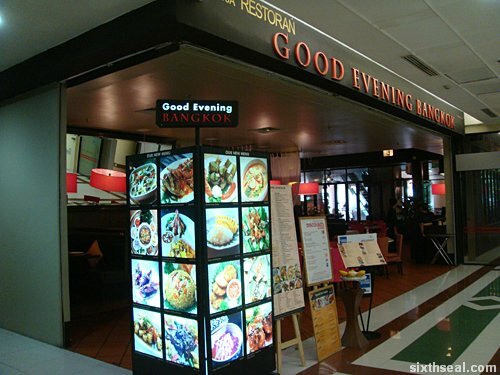 Good Evening Bangkok is a relaxing place to eat breakfast or lunch. 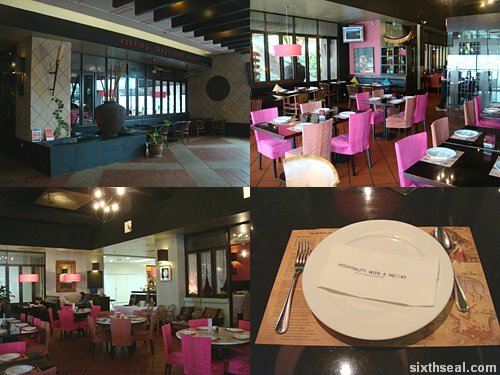 The presentation is good and the service is excellent but most of the dishes have been found wanting. The appetizer and dessert we ordered isn’t anything to write home about, but the main dish is absolutely fabulous! It’s definitely worth checking out.